It is easy enough to get lost in the 140 character World of twitter where the quest is to be as funny or as informative as you can within some very strict guidelines. Problem is, one can spend way too much time just thinking about shrinking yourself down into this very small world. Facebook is the same. One starts to think very small. It is like the social media universe is built to cater to the short attention span. In the real world around us and above us there is no limit. There is no limit to what you can hear, see, small and taste. In the 20 years or so that I have been writing about coffee culture in Canada, I’ve seen it all, sipped it all and met every kind of coffee drinker. And yet I feel like I have just started to scratch the surface. The exploration of the World around you (and in my case, the coffee World) is all about the people: Meeting them, talking to them, getting their unique perspective – taking it all in and taking away something new… adding to our own collective of knowledge. In this my first chapter of a coffee journey lasting 20 years I start with today – about how random chance contacts with the people within and without the coffee world shape my perception of the world around me. Today my coffee break routine was altered by the fact that I had forgotten to bring in a bag of coffee beans to prep in my lab for my fellow techs at 10 AM. I actually had to buy some brewed coffee. So I went to one of the most reliable joints on campus, the Finnerty Express. The Finnerty has been open for more than 20 years. It has been my go to place, either to hang out with friends and colleagues or to take a break from the fast paced World of IT. I celebrate that thing we call Coffee Break! The Finnerty Express, over the years, has always featured the most passionate and cheerful of coffee people you could meet. After all these years, I think of the staff and crew at the Finnerty as my family. 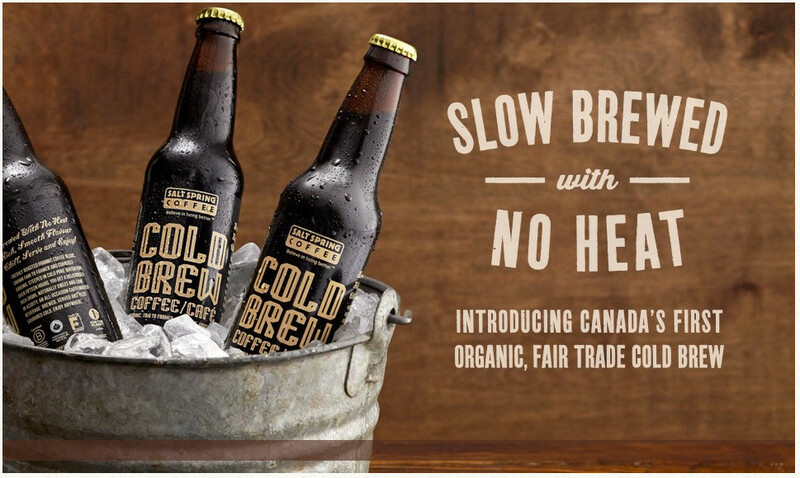 Today we had a visit from the good people at Salt Spring Coffee – I chatted with one of the sales reps, Deb Franz, on the subject of coffee culture and their fresh new product: Cold Brew coffee. I have always been a skeptic about changing the formula of a good thing – that is brewing coffee without hot water… I mean, how does that work. Anyway, SS Coffee has perfected the cold brew process by using quality coffee with the 15 hour steeping that cold brew requires and then bottling the “brew” when it is at its peak flavor. Now here is an additional kicker: Cold brew coffee has around 15% (or more) caffeine by volume and when you factor in the reality that the human body absorbs caffeine significantly faster when ingested from a cold beverage, you have the recipe for a stimulating and refreshing beverage. Deb Franz brings to the coffee World an enthusiasm and passion for the bean and a desire to join the rest of us coffee lovers on this journey. A lifelong journey of exploration of the caffeinated beverage. Thank you for taking the time to chat Deb! So: Cold brew coffee… a big thumbs up. Cold and refreshing right out of the bottle. And very peppy! I shared a bottle with 3 or 4 of my colleagues… even a non coffee drinker! Would I buy it again? Definitely. In upcoming chapters I will reflect on two decades of discovery and adventure – and how the journey continues. Colin Newell is a Victoria resident and coffee expert who has traveled to many corners of coffee World looking for the ultimate cup of coffee… and finding it. I love the idea that you’ve got that local place that you can rely on, to hang out an enjoy a coffee break. Cafe culture just tends to bring out the most intellectual company and discussion, and is always so peaceful. Congrats on finding that. 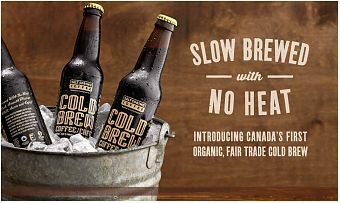 Additionally, Cold Brewed coffee is an excellent way to have your iced/cold coffee. I’m a big fan, I think that it just hits the palette so much smoother than a coffee that was brewed hot and then chilled.